The global market for oil and gas upstream equipment market is growing at the back of the advancements in the oil and gas industry. Oil and gas upstream equipments are used for conducting a range of operations in the oil industry and are an indispensable part of tthe latter. It is anticipated that the demand within the global market for oil and gas upstream market would reach unprecedented heights over the coming years because of the rapid adoption of technologies in the oil and gas industry. A number of stakeholders and sellers in the oil and gas market have given a seal of credibility to the oil and gas upstream equipment. The current economic downturn may have affected the market for oil and gas upstream equipment but the demand is expected to be restored over the coming years. The growth rate of the market over the coming years is projected to outdo the growth rate that ecisted over the past years. The global market for oil and gas upstream equipment can be segmented based on the type of equipment, application, and region. A number of drivers of demand within the market relate to the aforementioned segments, and hence, it is important to analyse each of these segments. The report is a depiction of the possible trends and opportunities that are projected to surface in the market over the coming years. 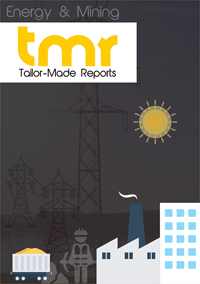 The drivers of demand within the global market for oil and gas upstream equipment have been elucidated in this report. Furthermore, the strategies of market players and development of regional segments have also been explained throughout the report. The demand for oil and gas upstream equipment depends on the price of crude oil and the operations of the oil and gas industry. When the prices are stable and the industry is willing to invest in new technologies, the demand escalates to unprecedented heights. Besides this, the demand within the market is also driven by the offshore and onshore operations undertaken by the oil an gas industry. Since the prices of crude oil are expected to stabilize over the forthcoming years, the demand within the market is expected to elevate to new heights. Furthermore, the drilling operations of the companies in the oil and gas industry have also increased in recent times. This has also created commendable opportunities for growth for the market players operating in the global oil and gas upstream equipment market. The market for oil and gas upstream equipment has been expanding at a sturdy rate across the Middle East and Africa. The large scale operations undertaken by the oil and gas sector of the region has been the key driver of demand in the regional market. The market in the Middle East and Africa is expected to keep treading along a profitable growth path over the years to come. The market players have resorted to a range of strategies in order to establish their supremacy in the global market for oil and gas upstream equipment market. Research development has been a key highlight of the efforts of the market players to attain stability and security in the market. Some of the key market players are Aker Solutions, Halliburton, and GENERAL ELECTRIC.